The much talked about biopic of the year ‘Mahanati’ released this month and the film received an overwhelming response from the audience. The film starring Keerthy Suresh and Dulquer Salmaan got a tremendous response from celebrities and critics alike. The film also stars Samantha Akkineni and Vijay Devarakonda in important roles. 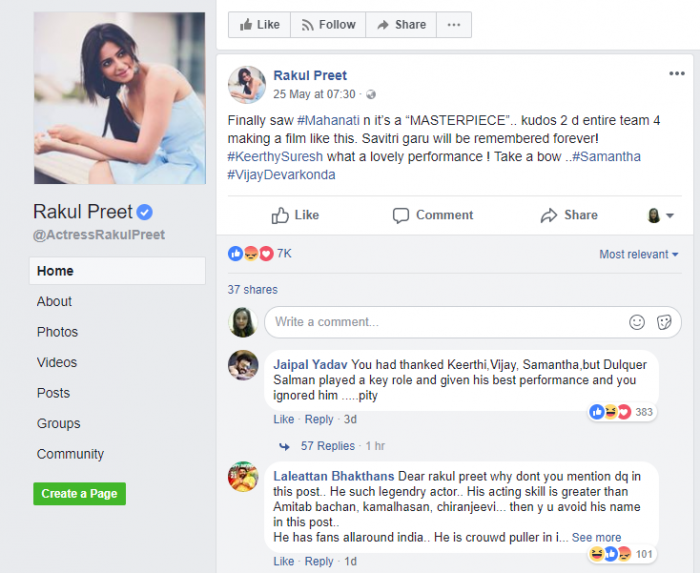 Actress Rakul Preet Singh recently took to her social media page to praise the film. 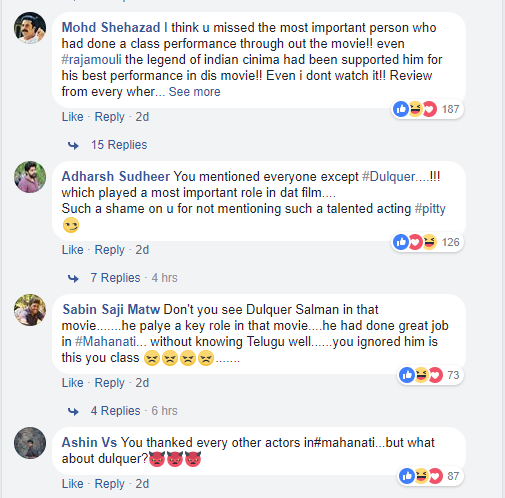 While she gave credit to Keerthy Suresh, Samantha and Vijay Devarakonda in her post, looks like Rakul Preet forgot to mention Dulquer Salmaan’s name who played the role of Gemini Ganesan’s role in the film. Well, this did not go down well with the Charlie actor’s fans. 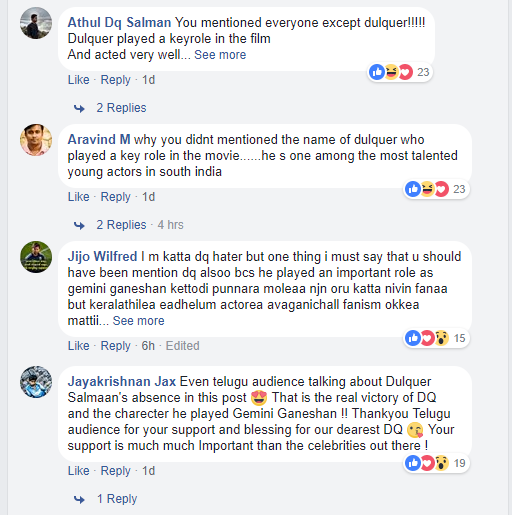 Dulquer Salmaan fans showed no mercy and lashed out at the actress. 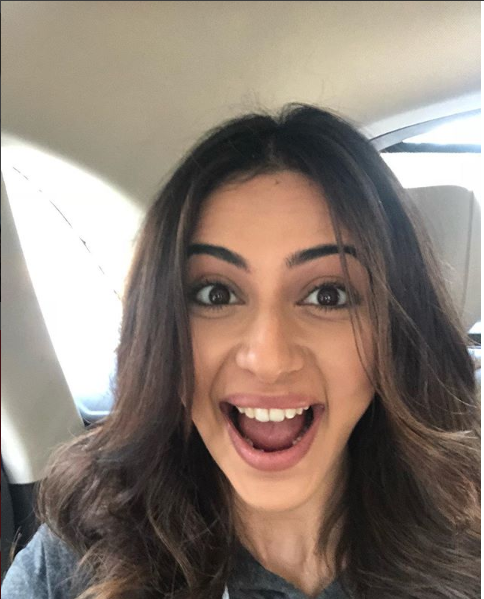 Rakul has completed the first schedule in NGK and is currently in Mumbai for the shooting of her untitled rom-com with Ajay Devgn. Reportedly, the film reportedly also stars Tabu, who will again collaborate with Devgn after their last two successful films, Drishyam and Golmaal Again. The film will be directed by Akiv Ali and co-produced by T- Series and Luv Films. It is slated to release during Dussehra this year on 19 October, 2018.